I listened to The Little Chapters podcast yesterday - a fabulous newish podcast with Kayte of @simpleandseason and @jessicarosewilliams and they were discussing hobbies - and more specifically the pressure that people feel to monetise their hobbies, in an age where everyone seems to have or aspire to have a side hustle. And it really got me thinking, from a knitting (and general craft) perspective. So many times I’ve heard people say to me (or to other crafters), “Oh, you should totally sell those” referring to whatever handmade item you happen to be working on at the time. Now obviously, it’s a lovely compliment to pay someone, to say that their loving handmade item is “good enough” to attract a price tag. The problem is that such people - often non-crafters - are woefully lacking in information regarding the time and the cost of materials needed to make anything more than a simple chunky knit beanie. And even then, good wool doesn’t come cheap. There are very few people who can make a living wage from selling handknit items, and nor should people feel that they have to. There’s nothing wrong with knitting just for the joy and pleasure it brings you. There should be no pressure to somehow “be productive” or to be judged for what others feel is a meaningful use of your time. It doesn’t just happen with handknitted items. How many times on a social media platform have you seen someone excitedly share a new project - something that they have made up, or been inspired to create. All too often such posts are greeted with a barrage of "pattern please" or "you should write that up". Blithely ignoring the many hours of work it would take to do that. Not least the expectation that, that person should put in hours of work just to help someone else make something. Yes, of course it is a compliment of sorts but it also comes from a place of entitlement - that someone else should put in the effort (and in the case of pattern writing that’s a heck of a lot of effort) in order to benefit themselves. That lead me to thinking about the way some people approach social media in general - some from a mindset of abundance and some from a mindset of scarcity - but that’s a post for another day. As you can see, one small podcast episode can set off a whole chain of thoughts and that’s what I really love about The Little Chapters. Kayte and Jess chat freely about a whole range of topics - to do with being self-employed, running a business, mindfulness, slow-living. They are brilliantly down to earth and never fail to say something during the podcast that makes me say “ooooh….” and reach for my notebook. Do give them a listen - I’d love to hear what you think. Every year I try to give up something for Lent -with varying degress of success, but this year I’m joining Barbora (@herinternest on Instagram) in #NoSpendLent2019. Jessica Rose Williams wrote about this a while ago on her blog and it really made sense to me. A bit of a financial reset is a good thing to do from time to time I think. I’m fortunate in that both my husband and myself work and we have a reasonable household income. 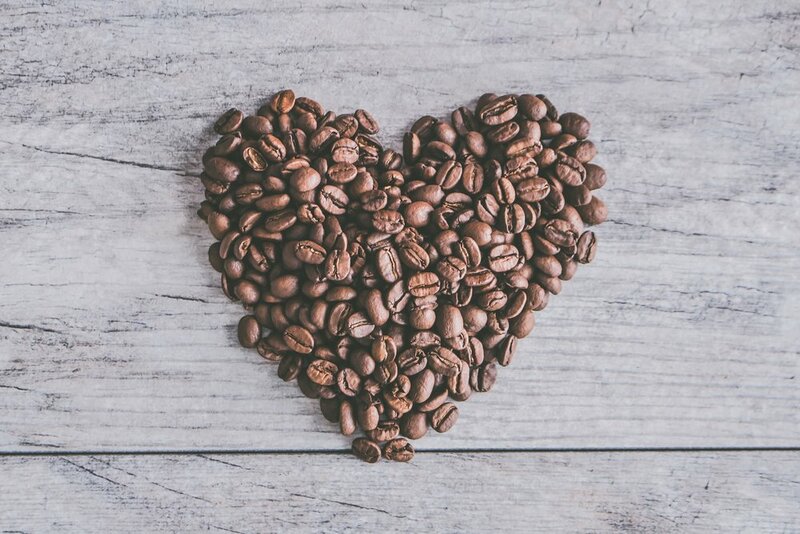 It’s easy to spend money on non-essentials like takeaway coffee and food without really thinking about it. Not only does this lead to the inevitable confusion at the end of the month when I wonder why on earth I’m skint again, it also contributes to my guilt around trying to be more aware of environmental choices. I’ve been doing my best to ditch the single-use plastics and takeaway coffee cups and I do have reusable cups, but I’ve yet to fully embed this in my lifestyle and often myself lacking one when I need it. The rules of #NoSpendLent2019 are simple: No spending on anything that isn’t essential, although of course it’s entirely up to you what you define as essential. Life doesn’t stop and kids will still need dinner money and school supplies (I think they eat bloody Prit Sticks and pens - the rate at which we seem to go through them) but anything that doesn’t fall into your essential category is off limits. I’ve pretty much given up buying makeup and posh toiletries anyway as I try to reduce plastic use. The idea isn’t to live in a state of monastic self-deprivation. And if I come across a book that I really, really want to read I probably will buy it. It’s more a case of trying to be more aware of those small purchases every day. Those little £3-5 items which you buy almost without thinking about it. And really considering “Do I need this or do I just want it”. Fancy joining me? If you do decide to have a go - however you want to define it please do let me know. Either use the comments below or tag me on Instagram with the #NoSpendLent2019 tag and we can cheer each other on. Have you heard of The Rare Stitch project? No, neither had I until I experienced one of those remarkable serendipitous events that our online knitty world seems to excel in. I had just finished reading an article on the Ravelry home page under their regular Humans of Ravelry slot - you can read it here (you may need to scroll down a little to find it). The article talks about Raveller tentenkits - aka Margot - whose son was diagnosed with a very rare condition. She uses her knitting to raise awareness of rare diseases by incorporating a deliberately wrong (rare) stitch into each project as a visual representation of one ‘rare or unusual’ stitch in a sea of ‘normal’ stitches. Margot has a lovely Instagram account as @1010_studio and she is well worth a follow. With cup of coffee in hand I literally popped over to Instagram to connect with Margot and the first post I see is a post from the lovely Deb - @tinckhickman sharing her ‘rare stitch’ project. She talked very movingly about a recent diagnosis within the family of a rare and unusual disorder and also linked back to Margot’s work. How weird is that? 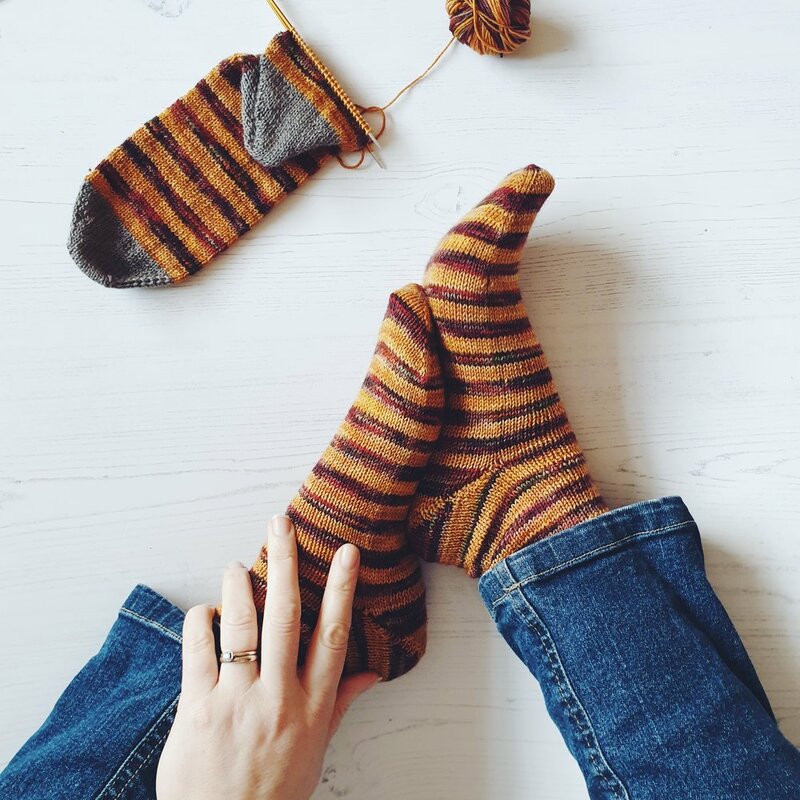 I love how interconnected our knitting world is and I love that this project is doing such great work to highlight awareness of such rare and often overlooked diseases. Today - 28th February - is Rare Disease Day so it seemed like the perfect time to share this little anecdote with you and to also help to raise awareness this group of disorders. For many patients and their families the diagnosis of rare disease (literally something that affects 1 in a million or fewer) can seem incredibly isolating. Support groups and help can be far away, or non existent and it can be baffling to navigate the healthcare system with healthcare professionals who also know very little about your condition. Rare Disease Day is organised and supported by EuroDis - Rare Diseases Europe - who bring together research and support for those affected under one umbrella organisation and try to amplify the work ongoing. As knitters we tend to be a fairly thrifty bunch anyway, and I know that I am certainly loath to part with any scraps after I’ve finished a project. But, as I was knitting on these socks it dawned on me that these will be my first pair of official “Zero Waste” socks. The 100g skein gave a lovely pair of toe-up socks for me (64sts on 2.25mm needles) with a fish lips kiss heel and left 40g remaining. My eldest son liked them so much that he also wanted a pair - and although he now has feet that are as long as mine they are also a lot narrower (think canoe’s and you’re on the right track). So I divided the remaining yarn into 2 x 20g balls and paired it with a toning brown (of long forgotten provenance) from my stash for toes, heels and cuffs. His socks are 56sts on 2.25mm needles and so I got about 5 inches up the leg before the self-stripe ran out. As I am determinedly ploughing on with my mahoosive (three strands held together) Garter Ripple Squish, the idea of not adding anything further to my dwindling yarn scrap supply is really quite attractive. I’m not sure if this will be a “thing” for future socks too but it’s certainly been a fun project. I saw a really interesting statistic yesterday which really gave me cause to think, and also crystallised a few thoughts which I’ve been mulling over for a while. The ever-fabulous Casey from Ravelry ran and published a report into the income made by designers through Ravelry pattern sales. January was the best month for pattern sales and his figures showed that only 300 people made more than $1000 in sales. It goes without saying that sales for the summer months are a whole lot lower. With figures like that it’s pretty obvious that pattern sales alone are not a viable way to make a living - and that’s the reason that most designers either have more diverse income streams or who work other jobs in addition to their designing. For the purposes of comparison I checked my figures and in January I made just short of £660 in pattern sales (approx $860) - not bad - and probably about in line with my monthly average. It goes without saying though, that this is not my sole source of income. I work a full time job and I’m married with a husband who also has a full time job. And of course there are the overheads to be deducted for tech editing, website hosting, software and the dreaded tax return. My designing and pattern sales are a useful source of secondary income but more importantly for me, it’s fun and that’s why I do it. If I were to give up work to focus on this full time I’m not sure I would inherently be any more productive, or that realistically I would be able to convert that free time into actual income. There are only so many patterns people are willing to buy and hours in the day in which to knit them. So much business advice is gearing towards growing your business, to “slaying it” and to building your income. Sometimes it feels as though it’s wrong to say “I’m fine where I am actually, thanks”. I’m never going to be a crusading business woman, and I’m fine with that. I’m just happy, doing what I do. And I’m eternally grateful that I’m able to do it. As much as I would love to say this is my library/craft room, in reality, due to lack of space (and an excess of kids and Lego) I’ve had to embrace digital storage of patterns and knitting paraphenalia. I access and store patterns almost exclusively in digital rather than paper format these days. The exception to this is the beautiful (print only) Laine Magazine and also a few treasured stitch dictionaries - the complete Barbara Walker series as well as my absolute favourite Japanese stitch bible. KnitCompanion: I know this is really popular and I have bought (and used) the paid for version. There is also a basic, free version if you wanted to try it out. I really love the way it seamlessly integrates into Ravelry and if I were a really prolific knitter of other people’s patterns I think this would probably be my app of choice. As it is, I’m usually juggling knitting my own designs with knitting those of others, so I tend not to use this very much at the minute. It’s really great for saving your progress though and avoids that “where the heck am I?” feeling when you pick up a long-term WIP that you have mysteriously abandoned half way through the lace chart from hell. Goodreader: This available for i-Phone/Apple users. I’ve no experience of this but I know that many people do use it and speak very highly of it. Evernote: I’ve had an Evernote account for years now and I use it for all sorts of things, from household bills and storage of documents, to knitting patterns and clips for design inspiration. The platform is free to use, or you can pay a small amount (as I do) to access a greater range of premium features. I keep the vast majority of my bought knitting patterns in here, stored in folders along with useful articles, research articles and those all important size charts that I always need to reference. Whenever I buy a pattern - usually from Ravelry - I download it straight away to whatever device I’m on and then save a copy in Evernote. It synchs across all of my devices and it means that I can always access that crucial bit of pattern information no matter where I am. I love it so much that I am an Evernote affiliate. You can sign up by clicking this link for a free trial of their Premium service. This is an affiliate link which gives me points towards my own Premium membership. Google Drive. I’m a real fan of Google docs and spreadsheets, and most of my design work and content creation happens here. I love being able to create specific folders for everything and the fact that it integrates so seamlessly into Trello (see below) is a real bonus. Trello. This is where I do my day to day (and month to month) business planning. I love the calender function here and so this is where I manage my everyday tasks, set my editorial calendar and keep track of various projects. Where do you stand on the issue of pattern storage? I asked this question in my Instagram Stories earlier today and so far it’s about 35% Team Paper and 65% Team Digital. If you know of any apps or storage solutions that I haven’t mentioned, do please let me know. Like the search for the elusive perfect notebook, the search for perfect storage is always ongoing. Relax, there will be no mention of a certain, over inflated, over commercialised V-word day today. I don’t hold with the idea of picking a specific day to celebrate love to be honest. Although, while we touch on the subject, ever so briefly, what the heck is Galentine’s Day all about, apart from just another excuse for card companies to make money? For me, love is in the expression of the smallest of things. the things we do every day without making a song and dance (or a lavish Facebook post) about. It’s me remembering to fill up the car with fuel before my husband borrows it. He knows how much I hate queuing at our petrol station - so it goes without saying that he appreciates the gesture. My husband spends more time than he would like, probably, listening to me waffle on about yarn but he puts up with it patiently and sympathetically, because he loves me. And he knows that, just every once in a while he is the recipient of some of it. He commiserates when a project goes wrong and is genuinely happy for me and proud of me when things go well. But, for services above and beyond the call of duty he has been known to help me wind, by hand, 2,000m of hand dyed laceweight yarn. Two whole kilometres of yarn! If that doesn’t say love then I don’t know what does quite frankly. With social media it’s easy to forget that you can choose what you don’t see, but also, more importantly what you do see. In recent weeks and in light of many conversations that are taking place about diversity and inclusion, I (I suspect like many others) have been reviewing the accounts that I interact with on social media. I was shocked to discover how homogenised my Instagram feed was at first. Even though I followed a diverse range of people, on closer examination I realised that the majority were very like me. It’s certainly no excuse but it’s a fact of life that the internet reflects back to us how we most often see the world. Algorithms are very good at monitoring what it thinks we like and then giving us more of the same. So if we spend a lot of time commenting on pretty floral flat lays, or lovely skeins of hand dyed yarn, then that’s what it shows us more of. Hence, my social media feed is often comprised of yarn, coffee and sometimes cats. There was a weird stage when Instagram kept insisting on showing me photos of those odd looking hairless cats. Heavens knows why - maybe it thought they needed a knitted sweater. In recent weeks though I have been spending time purposely exploring new accounts from people with a diverse range of backgrounds (even some non-knitters) and I’ve been pleasantly surprised at how quickly the algorithm picks up on that. As well as choosing what we do see though, we also have the ability to choose what not to engage with on social media and to choose where we direct our energies. Instagram is a wonderful place in so many ways but it’s use as a platform for meaningful social interaction is limited to say the least. Comments are difficult to moderate and it is all too easy for well meaning words to be taken out of context. I’m not entirely sure how best we can effect genuine societal change when it comes to diversity and inclusion but I’m fairly sure that liking a few posts, adding a few comments and following a few new accounts is not actually going to do that much. Much less is it going to help to shout at each other across a Mark Zuckerberg owned social media platform. I’m increasingly conscious of the amount of time I spend on Instagram and have started to use the “time limit” feature to help me manage my time better. Far better sometimes, rather than getting dragged into online debate and drama is to actually put down my phone and do something in the real world, whether that’s finding out more about local charities that I can help with, spending time with my young boys helping them to find their own way in the world or spending time on my own reading and education. I guess this is just a long-winded way of saying that if someone is “quiet” on Instagram or any other social media platform, it doesn’t mean that they aren’t doing anything. Conversely, just because you shout loudly on social media about a certain issue it doesn’t mean that translates to anything meaningful in the “real world”. Social media is all well and good but at the end of the day, surely it’s the little things we do every day, the small interactions we have and the baby steps we take every day towards being a better human, that actually count? In the midst of all the social media noise it is sometimes easy to lose sight of why we knit. Or at least that’s how I’ve found things over the last few days and weeks. I’ve spent a lot of time (probably too much, if I’m honest) on social media recently - the fact that Instagram now tells you how many hours per day you have spent on the platform doesn’t help but certainly brings the issue into sharp focus. Handing over this finished baby blanket to a newly created family of three this weekend though, really brought me back to why we knit in the first place. We knit because we want to create beautiful things. We knit because we want to put love out into the world. And for us (by which I mean Knitters with a capital K) we best express our love in the form of yarn and needles. Watching the new, slightly sleep-deprived parents unwrap their gift and instantly wrap their new baby in it brought a little tear to my eye, and theirs. They had been through a long journey to become a family and in that moment they felt welcomed and supported as new parents in our small rural community. Yes, it was just a blanket. But it was a blanket knitted with love and good thoughts, and knit just for them. And that feeling that we all had at that moment - that’s why we knit. I know that the Marie Kondo method is currently having it’s annual revival, courtesy of a particularly well timed NetFlix show and my social media feed has been full of neatly folded drawers and decluttering of epic proportions. If you are new to the whole #konmarie movement it is based on Japanese principles and aims to streamline your home, your belongings and indeed your life by asking a simple question - does it spark joy? The idea is that, when decluttering you take each item in turn and ask yourself whether it sparks joy before deciding whether to keep it or remove it from your house. Obviously I’m hugely oversimplifying this and there are some great books and YouTube channels out there devoted to just this thing. Suffice to say that I tried it, for about 5 minutes and then gave up. I get the idea, don’t get me wrong and I can see how it might work if I wasn’t surrounded by two chaos creating young boys and a husband who is a determined and self-confessed hoarder. One of the central themes of the #konmarie method is that all items in drawers should be neatly folded - yes even underwear - so as to prevent an unsightly tangle. If you don’t believe me just look on Pinterest for photo after photo of neatly folded knickers. That was taking things a bit too far, even for me but I couldn’t resist making a few neatly folded sock boxes - just for the purposes of private amusement. Have you tried the Kon Marie method? If you have I’d love to know how you made it work for you. I want to but it all just seems a bit too extreme for my liking. This post has been brewing in my mind for little while now. Random thoughts and experiences have swirled around but stubbornly refused to merge into a cohesive piece. I’m still not sure they are fully formed to be honest but now seems as good a time as any to get them out of my head and on to paper. I’m sure I’ve talked about this before and at length but the statement that “All knitters are lovely” has to be one of the biggest myths around. Yes, there are fabulous and wonderfully generous knitters out there. Knitters who give their time freely to help others and to share knowledge and experience. But knitters also represent a full cross section of society. In short, knitters are human with all the faults and foibles that come along with that. If you talk to any group of knitters they will invariably say how welcoming and inclusive knitting is as a hobby, but scratch beneath the surface of this well meaning statement you’ll invariably find that groups of knitters can be anything but welcoming. Pretty much everyone can relate to an experience of being shunned by a cliquey Knit Night group for example, or been made to feel they aren’t one of the ‘cool kids’ on a Ravelry forum. It happens and it happens every day. When people are recommending a group - either in real life or online they invariably say “Oh, everyone there is really lovely”, when in reality what they actually mean is “Everyone there is like me”. In the Everyday Knitter FB group for example, I am known for calling out people when they start a post with “Hey ladies”. The idea that all knitters are automatically women just drives me nuts. And when you (gently) point out that the group has a significant number of men and non binary members, often it is met with anger or defensiveness. They generally insist they meant “no offence” but my point is always that it’s about inclusion and making everyone welcome in the group. This issue has come to greater prominence in my mind after all the discussions centering around race and white privilege over on Instagram over the last few days. You can read more of the back story here and here. As the discussion unfolded, I like many other people who have benefited from white privilege realised that I had a lot of reading and learning to do. Simply pick up a knitting magazine (with the notable exception of Pom Pom Quarterly) or attend a knitting show and it becomes obvious just how underrepresented people of colour are in our community. Whilst I had often noted it subconsciously, I was embarrassed to realise that I had never really challenged the reasons the lay behind it, nor had I questioned it further with folks within the industry. Racism and discrimination is as rife in the knitting community as it is the general communities around us. That makes for very difficult and uncomfortable reading for many people, including me and it is clear that a great deal needs to be done to make the knitting community a genuinely more diverse and welcoming place to all knitters. If, like me you are looking for a good place to start I can highly recommend the work of Layla F. Saad who has done amazing work in this area. And if you are looking to support and promote the work of POC within the fibre industry, do check out the Instagram profile of Marceline at @heybrownberry. In her Story highlights she is collecting a wealth of information on brilliantly talented fibre folk to follow. Whether you love or hate the Instagram algorithm (mainly hate in my case) one thing it does tend to do is to reflect your own likes and preferences back to you. That means that if you mainly engage with the accounts of people ‘like you’ that means that in turn, only similar accounts to your own are suggested back to you. The more we change our behaviour by genuinely engaging with a more diverse range of people, then the more diverse our Instagram feeds become and hopefully the more welcoming our community becomes to knitters all of backgrounds. I genuinely believe that the knitting community can do better and will do better in the future. I first wrote this blog post in January 2017 but as I read of another independent yarn store closing down it makes for more pertinent reading than ever. Apologies in advance for the slight mini rant today but I have heard and seen so much online these past few days about 'Cold Sheeping' that I feel duty bound to try to redress the balance a little. For those that don't know, the practice of Cold Sheeping refers to going on a yarn diet or a restricted yarn buying policy - akin to going 'cold turkey'. It is certainly a common feeling at this time of year to feel slightly overwhelmed by your stash, or to feel as though your house in general has way too much clutter in it to even contemplate buying anything more stuff. Heaven knows, I am certainly guilty of feeling a slight sense of panic as my formerly well-contained stash spills out of its neat wooden drawers and starts to set up home in other areas of my house (is it just me or does the stuff breed when you aren't looking?). However, whatever the answer is I'm almost certain that it doesn't involve going on a yarn diet. For the simple reason that diets never work. If they did the diet industry would go out of business. Anything that advocates extreme restriction or denial will inevitably involve a backlash at some point and freed from constraint you will be gleefully hoarding pretty sock yarn again before you can say 'Blue faced Leicester'. So, I am proud to say that there will be no Cold Sheep or yarn dieting here. This is a Cold Sheep Free Zone. My stash is a thing of joy - it brings warm and woolly solace to dark days - and it means that at the drop of a hat (or the news of an imminent baby arrival) I can rummage in the stash, grab some needles and whip out something cute and giftable in less time than it takes to traipse into town to buy a congratulations card. It must be especially hard at this time of year for our beloved LYS's and independent yarnies who have to endure all talk of 'cold sheep' with a fixed grin and a firm hand on their budgets. January can be bleak enough for any business but small, independent businesses feel the pinch more than most and a little support at this time of year could make all the difference. I know that budgets can be tight right now and appreciate that not everyone may have the funds to spend, but even if you can't take advantage of your favourite indie dyers latest update you can help spread the word by telling your friends or sharing it on social media. And if you are visiting your LYS but really don't want to buy more yarn you could always take the opportunity to stock up stitch markers or needles - you can never have too many of either. So, this January I am encouraging you to give the Cold Sheep the Cold Shoulder. Embrace your stash in all its woolly glory and show some love to our fab independent business. Gosh, its been a while since I last logged in. It turns out that a combination of flu, Christmas and a broken laptop isn’t at all conducive to blogging - who knew? I could say that I have been using the time to creatively reflect, set my goals and intentions for the year and plan our my next three months of blog posts. But in reality I’ve been hunkered in front of the fire knitting and eating my own body weight in Quality Street. I’m normally raring to go in the New Year, fizzing with all manner of cunning plans and ideas. But this year, I’m just not feeling it. It feels like a time to be slow, to be reflective and just to to take my time emerging from our family holiday bubble. If you are struggling with this too then you might like to check out Kayte Ferris of Simple and Season. She has a great blog and podcast and her most recent newsletter was packed with tips for how to survive the next few weeks if the whole January “new year new you” thing just feels a bit too overwhelming. Please rest assured that I’m not going anywhere. I’m still here, still knitting but just taking my time getting back into the swing of things. Because of my aforementioned lack of laptop (thanks Windows for totally arsing things up) I’ve been using my Instagram account as a sort of mini-blog with longer and slightly more reflective captions than I normally do. 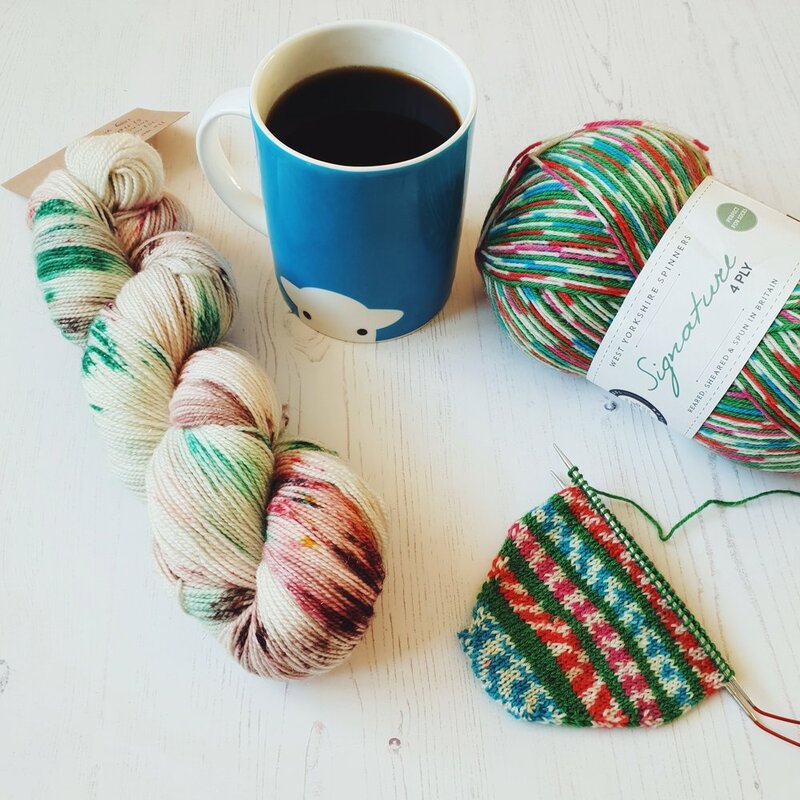 This recent one was a bit of an affectionate poke at the tangles that we knitters can get ourselves into with New Years Resolutions. Heaven knows, I’m no stranger to this and I’ve often made elaborate plans in January for mammoth year-long projects only to find that come February I’m happy to convert that planned throw into a cushion cover and have done with it. Anyway, please grab a coffee and your knitting and bear with me. I’ll be back soon once I’ve emerged from hibernation - and bought a new laptop. There’s definitely something about this time of year that encourages review and reflection - although in my case this has been rather enforced by a week in bed with flu - I didn’t have the energy to do much else. And even thinking felt like too much effort at times. I really love this time of year - seasonal craziness notwithstanding - not least because I get to indulge my love of planning with a brand new planner and lots of big ideas for the coming year. But, as much as it is helpful to dive headlong into a new year it’s also nice to look back at what we’ve achieved this year. To stop a minute and take stock of all those small wins. It’s all to easy to focus on the things we didn’t do and the resolutions that went unmet, when in actual fact we probably achieved a heck of a lot more than we think we did. According to this fun #topnine app apparently in 2018 I mostly knit stripy socks. I love how the snazzy Must Stash Yarn stripy socks account for my top 3 Instagram posts (in terms of likes) in 2018. Once I’ve shaken off this lingering bug and had a serious amount of coffee I’m planning on a serious bit of 2018 reflection before I get too carried away with 2019 plans. I recently discovered Susuannah Conway through her #decemberreflections2018 project on Instagram and she also has a brilliant (and free) workbook - Unravel Your Year - which I can’t wait to dive into. But for now, I’m going to take it easy with my knitting - in fact I might even cast on another pair of stripy socks to see me through into the New Year. Please don’t get me wrong. I love Christmas. I love the warmth, the fairy lights, the candles (and yes - a bit of mulled wine). What I increasingly struggle with is the excess and the intensity of it all. Each year seems to bring a mounting sense of urgency, of the endless pursuit of seasonal perfection and a constant comparison between myself and others. I know that the last point - the comparison - is entirely on me. It’s the way that I can respond to external pressures when I’m feeling less than positive about my own circumstances and that’s something that I am working on. But, that minor personality foible aside I do feel as though every year brings with an onslaught of more - more Christmas “stuff”. There are some beautiful yarn advent calendars out there and some really lovely KALs and projects but sometimes it all just feels a little bit too much. I’m really glad that I decided not to buy a yarn advent calendar this year. I was sorely tempted back in the summer when my favourite dyers were busy plotting and planning. But in the end I decided that I would rather not put that pressure on myself to keep up. I would inevitably feel that I had to keep up with the daily knitting (again - that’s entirely my own neuroses talking) and that it would just add to the general feeling of overwhelm that often threatens to overtake me at this time of year. So instead, rather than wallowing in my own self-analysis I’ve decided to adopt a few principles for a more minimalist knitty Christmas. I am packing away my WIPs (and a sizeable chunk of my stash) - all of them - into the loft when I get the Christmas decorations down. Instead I am just going to have the 3 or 4 that I’m actively working on instead of the huge WIP basket that stares balefully at me every time I pass it. I will pick out a few suitably seasonal skeins of yarn to decide on a relaxing “Twixtmas” project - the lovely period between Christmas and New Year when nothing ever happens. I have asked for no yarny gifts (or indeed any gifts) this Christmas. Both my husband and I have agreed that we have enough “stuff” and we would rather folks donate to Crisis or some other charity on our behalf. Rather than doing an advent knit I am going to use up some of my sock yarn stash and make a series of hats for a homeless shelter, ready for donation in the New Year. I am really sorry if this post comes across as “holier than thou” or in any way miserable. I promise you that isn’t my intention at all. But I’ve been writing this blog long enough now to realise that if I’m feeling a certain way there are bound to be others who are feeling just the same. I love seeing all the advent and festive posts on my social media feed but for this year I am giving myself permission not to get caught up in the seasonal knitting. But instead to relax, light some scented candles and just do some nice plain hat knitting with no pressure or expectations. The above photo neatly encapsulates the sum total of my planned Christmas knitting - and yes - it’s all for me. The West Yorkshire Spinners Fairy Lights yarn will be my festive socks for the season (and beyond) and the sparkly delights of this smashing Lay Family Yarn will be my relaxing knitting project for December (pattern to be decided). I do plenty of deadline knitting throughout the year for commissions and designs of my own and so for a few years now I have made the conscious decision not to knit for others at Christmas. The exception being stripy socks for my boys - but they have recently had new pairs of socks from me and at the rate their feet are growing they will just have to wait for their next pair. I loathe the term “selfish knitting” with a passion and refuse to apply it to my own knitting. The day I hear someone refer to the term “selfish reading” or “selfish running” I might reconsider. Knitting for me is an essential part of who I am and time spent knitting is time I’m investing in myself. Investing in both my physical and mental health. Knitting is my daily act of self care and adding labels or time pressures to it is not an option. Don’t get me wrong. I am totally in awe of those dedicated souls who churn out hats, mitts and scarves for their loved ones at Christmas. And if that act of knitting and giving motivates them and gives them joy, then all power to their needles. But, it’s not for me. I firmly ascribe to the view that knitting (gifts) isn’t just for Christmas - it’s for life! Socks - do you block yours? It’s always a bit of a tricky one and something that people can have strong opinions, on but I love the process of blocking in general and blocking socks in particular. There’s something very pleasing about seeing two weirdly shaped tubes suddenly and magically become sock-shaped on the blockers. And yes, I know that you can just block them on your feet (and I certainly do this with my kids socks) but it is much easier to take a photograph of your finished sock masterpieces when they are on blockers as opposed to when they are on your feet - ask me how I know? For me, its part of the whole closure that comes at the end of a project. In the same way as you come to the end of a good book and you are reluctant to move on to the next one whilst the characters are still alive and kicking in your mind. Coming to the end of a much loved sock project is much the same. These socks in the photo - knit with yarn from London House Yarns - accompanies me on most of my summer journeys and our happy family memories (and a bit of sand) are knit into each stitch of these socks. I like to take my time, tidying up the loose ends and emptying out the project bag of assorted bits and pieces. In an ideal world I’ll also put my needles neatly away but I know in practice they often end up randomly in a drawer waiting for me to rifle through them in a desperate search for elusive 2.5mm needles. Do you have any “end of project” rituals or things that you like to do at the end of a project - or is it just me? Knits - how do you wear yours? Scrolling through my Instagram feed recently it suddenly struck me that something was missing. I share a lot of photos of knits in progress (also coffee and cats) but hardly any photos of the finished pieces being used or actually worn. There are the occasional glimpses of socks or things in the background but very rarely do I actually take a photo of the finished knit "in the wild", as it were. Once I noticed this I started to notice it in general, in other people's feeds as well. Of course it makes perfect sense when you think about it. Not all of us are particularly comfortable in front of a camera (I know that I'm not) and we don't always have a willing photographer to hand. And no matter how hard I try and how many lessons I have from my 15 year old niece - I'm still to master the art of the selfie that doesn't make me look slightly deranged. So, I thought I would come at the problem from a different angle and use the type of shot beloved by Instagram users - of the flatlay - only with knitwear. The idea was to show my outfit for the day and to show how I pair something I've knit - in this case my Worth The Fuss shawl - with my everyday wardrobe. The yarn is Titus 4ply from Eden Cottage Yarns just in case you were wondering. The colourway is a beautiful one called Starling and just like the feathers of it's namesake there are tiny flashes of bright greenish-yellow within the grey which my photos really don't do justice to. I'm pleased to say that even though I was worried folks might think me a little strange, the post has done really well on Instagram this morning, with lots of people commenting on how they like to wear their knits and also talking about how they might incoporate this into their future posts. Apart from shows and yarn festivals I don't often get to see many knitters in my day to day life and yet I love to see how people wear their finished items and how they combine them with other pieces in their wardrobe to come up with finished outfits. I've yet to think up a cunning hashtag for this yet - watch this space - but I'd love to know what you think of this idea and whether you think it's something you think would be fun/useful/inspirational. You can either head over to the the Instagram post to join in the conversation or leave a comment here.